There were 12 posts published in February 2011 (this is page 1 of 3). 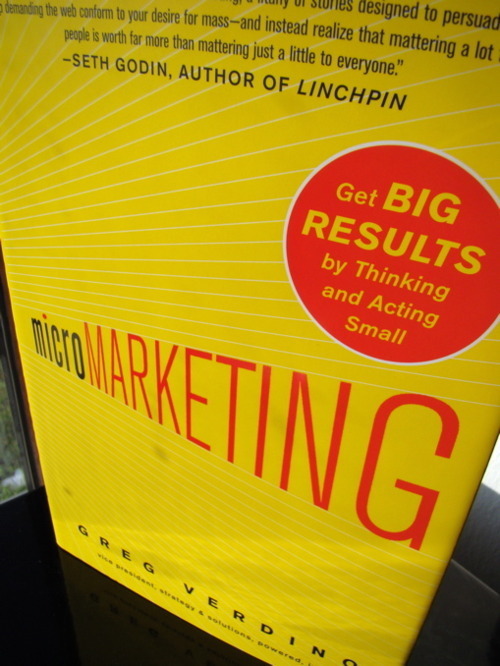 Greg Verding talks about micro branding, viral marketing and social media. He works with a lot of case studies and recommends to view them. look for a niche: It’s better to get 10% of 1000 than 1% of 5000. Try to define and reach a small demographic and widen it over time. build a relationship: Try to interact with your customers and prospects. If they feel loved, they probably will love you. try to get people talk about you: Basically the good ol’ Word of mouth marketing. After reading two books (Inbound Marketing and The New Rules of Marketing & PR) on this topic, I’m not so impressed by this one. Maybe it’s just the problem that at the moment people try to explain events in the past without checking if they will work in the future. I.e., actions in business should bring repeatable success. However, this book is more realistic than the other two. It don’t present social media marketing as an holy grail. Greg Verding shows the strengths and weaknesses of social media marketing and emphasizes that there is luck involved. I have always believed that each man makes his own happiness and is responsible for his own problems. 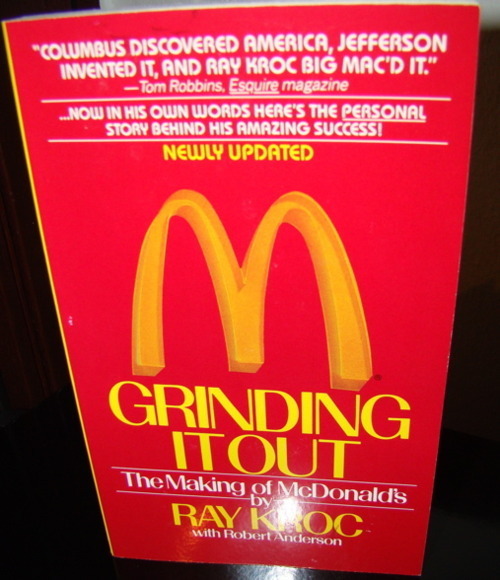 That’s the first sentence in this book and Ray Kroc meant it. He describes his pursuit of happiness from a piano player to the chairman of McDonald’s. Stay Green: Basically you should try to get not too conservative or too comfortable. “When you’re green, you’re growing. 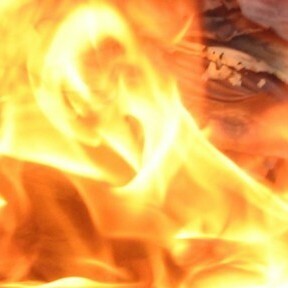 When you’re ripe, you rot.” Try new things, be open and don’t afraid of failure. At McDonald’s they introduce a lot of new meals, some fail, some prosper (e.g. the BigMac). QSC and V: Quality, Service, Cleanness and Value these are the main values of McDonald’s. They are easily portable to other businesses. What a great book! I love how Ray Kroc impersonates the American Dream. He worked hard, he took responsibility for himself and he helped other people to reach their dreams. Definitely a recommendation! 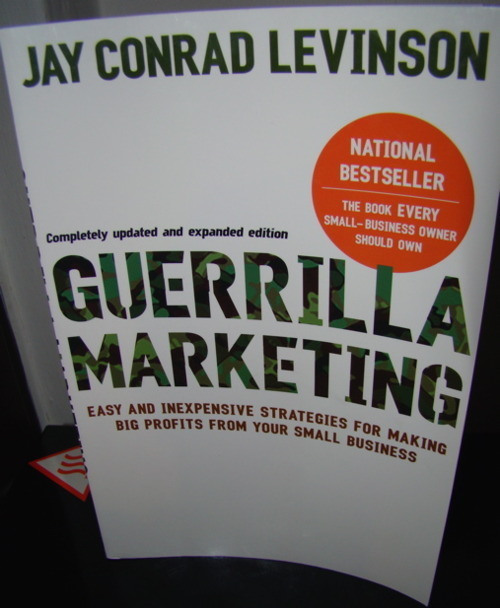 Guerrilla Marketing introduces you to marketing basics and a lot of different forms of marketing (e.g. newspapers, billboards, fliers). It focuses on small businesses and tries to show how to use your dollars more effectively. Focus: At first you should find out who your prospects are. What do they like? What are their hobbies? Where do they live? This allows you to spend your money better than trying to convince everybody that they need your product/service. Be persistent: If you start your marketing champaign you should be able to run it regularly. Furthermore, it is important to stick with your campaign even if it doesn’t deliver immediate success. Marlboro stuck with their cowboy campaign for 30 years although it haven’t worked in the first year. Market to your customers: It is about six times more expensive to market to prospects than to your customers. Therefore, try to sell more to your existing customers who already build confidence and trust with your company. Test, Test, Test: If you’re not testing, you’re guessing. Test as much as you can and discard your losers and put this money in your winners. 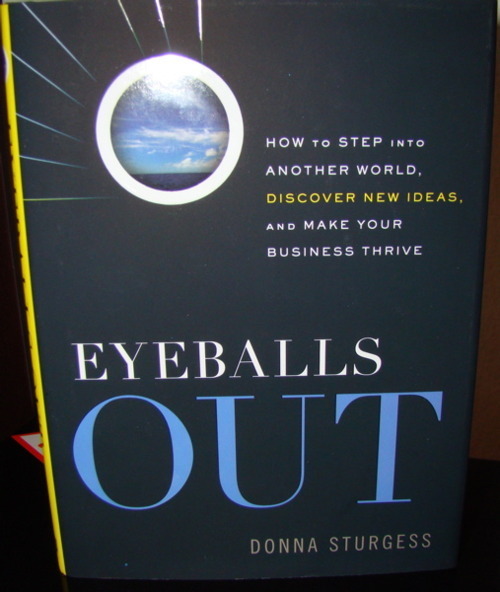 The first part, which is about 80 pages long, was really useful and great. Sadly, this don’t apply to the rest of the book. A lot is just too shallow to be useful and other parts consist mostly of repetitions. You can see that this book is revised but not in-depth. There are statements which are certainly 30 years old and should be deleted by now.